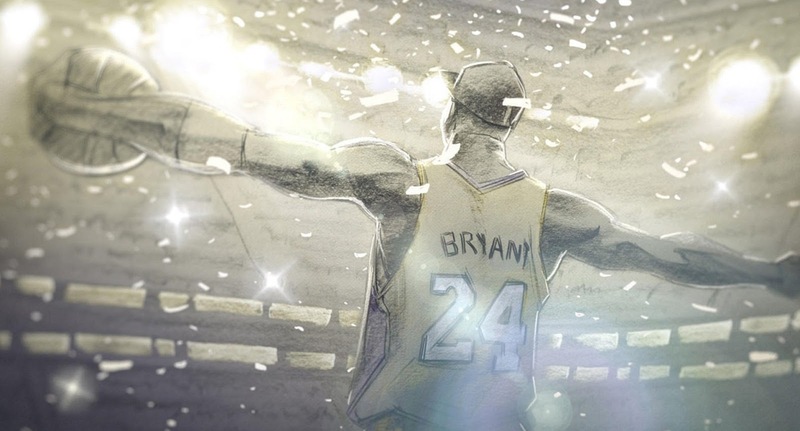 Kobe Bryant may be a better basketball player than he is a poet, but there's something very moving about his deeply personal ode to the sport that became his life in Glen Keane's DEAR BASKETBALL. Featuring Bryant himself reading his short poem, set to a triumphant score by none other than the legendary John Williams, Dear Basketball recounts young Kobe's wide-eyed childhood, obsessing over his favorite sport, and dreaming of one day growing up to be a professional basketball player. A dream which, as we all know, he grew up to achieve. Even if you're not a big sports fan (I, for one, am not), it's hard not to feel a lump in one's throat witnessing the childlike glee with which Bryant talks about his love for basketball, a sport that has given him so much. It unfolds like a love poem, an ecstatic celebration of a dream fulfilled. I'm not sure I've ever seen an animated film as photorealistic as this. While it has no less than six credited directors, Garden Party doesn't really tell a story so much as showcase their incredible animation skills. Set in a house overrun with frogs and toads, the film follows their misadventures - looking for love, pigging out on leftovers - in their newfound home. The film tells us little about why the house is abandoned, although it drops a few clues along the way (bullet holes in the glass, a phone off the hook, a surprise in the pool) that suggest a mob hit. But what makes it so wonderful is its stunning animation. It builds to an unexpected end, but the buildup is wonderfully disarming. 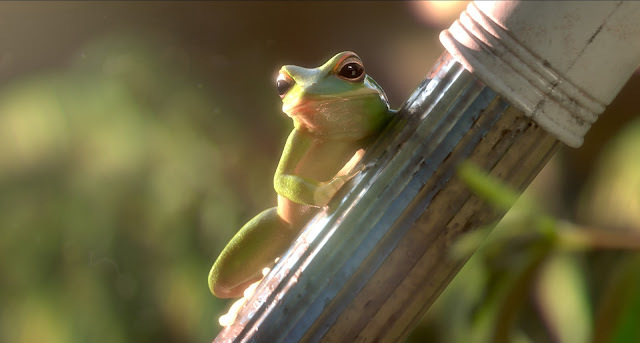 It is a showcase of jaw-dropping animation that shows great promise for everyone involved. 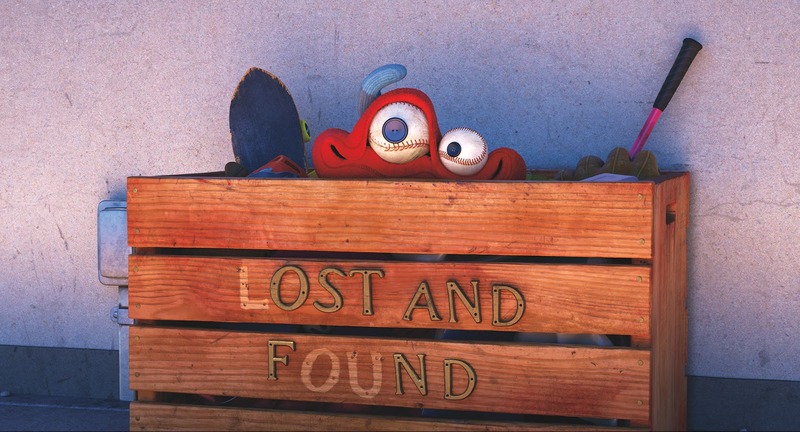 Items in a playground lost and found bin become sentient in Pixar's latest animated short, Lou, attached in theaters to Cars 3. The living items band together to stop a bully from stealing from other children on the playground. As as with most Pixar shorts, the film packs a lot of emotion into a short time frame, and while it isn't necessarily the emotional sucker punch that some of their finest shorts are, it's still a charming, anti-bullying PSA that manages to hit that sweet spot right between sweetness and sentimentality. It's the most emotionally incisive of the nominees, and the likely winner. Based on a poem by Ron Koertge, Negative Space follows a young man mourning the death of his father, a man who always away on business, remembering him through the meticulous way he used to pack his suitcase. There's something particularly haunting and lonely about this idea, brought full circle in the film's elegiac coda. It all feels a bit incomplete, never quite matching the abstract thoughts with particularly interesting imagery. But the final moment really hits home. A lovely but somewhat empty rumination. The uncle of the Big Bad Wolves from the stories of the Three Little Pigs and Little Red Riding Hood reveals his tragic story to a woman in a diner, recounting a friendship between Snow White and Little Red, and a lifelong quest for revenge. 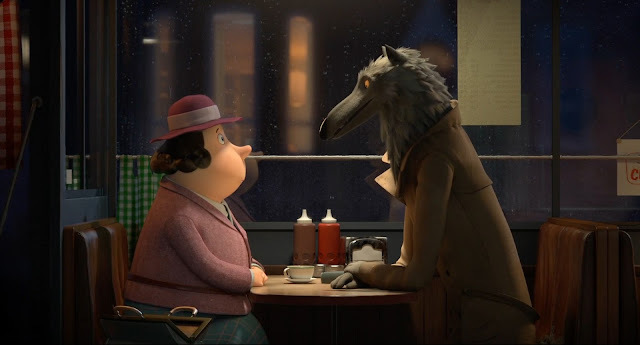 Based on a story by Roald Dahl, Revolting Rhymes is the latest animated short from the Oscar nominated filmmakers behind The Gruffalo and Room on the Broom. It's a delightfully twisted take on the classic fairy tales, underscoring their inherent violence and the untold ramifications of their plots. Captures Dahl's singularly wicked charm with a wink and a nod to the darkness that permeates our most beloved stories.